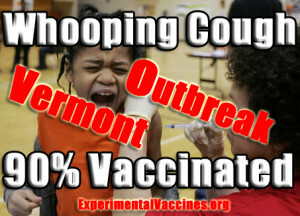 January 15, 2009 - Hunterdon hacks with whooping cough jag - The Star-Ledger via NJ.com - "All of the infected children had been vaccinated, but Hunterdon officials said the immunity to the vaccine can wane between ages 7 and 9 and that there is no licensed vaccine for children in that age group. ... Louise Kuo Habakus, a member of the New Jersey Coalition for Vaccination Choice, said girls receive 69 shots by age 18 and boys get 66 during that time. 'Our babies and our toddlers receive five pertussis shots until age 5, and that's not enough to protect them at age 7?' she said. Habakus said pertussis exists in animal reservoirs and has always been cyclical, regardless of vaccination. 'Every time they have a new shot, they say 'once and done.' It's insanity at this point,' she said. 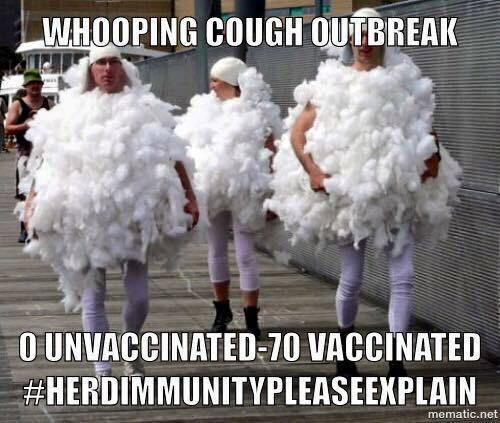 'Are they saying that we need a pertussis shot every year?'" 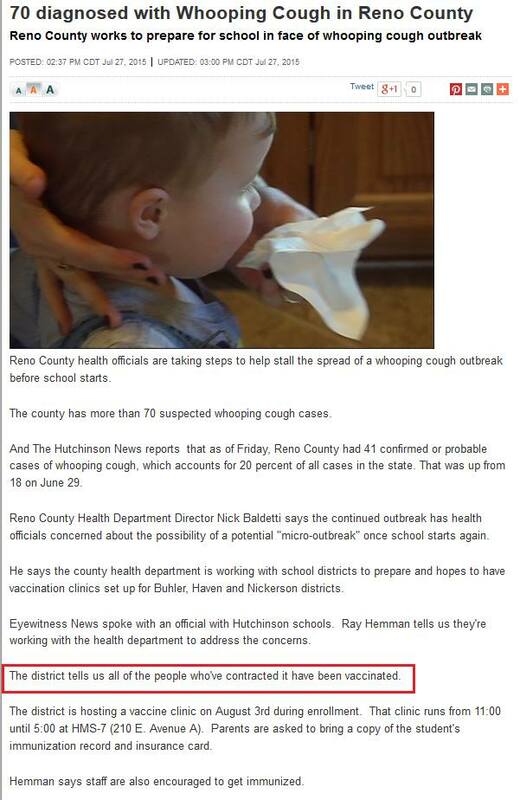 January 15, 2009 - Two Cases Of Whooping Cough Confirmed At School - Adair Progress - "According to Logsdon, the LCDHD is seeing the immunization for the disease wear off before the next installment of the vaccine is administered to children in the 10-year old age group. 'There is a gap in children in the 5th grade getting the vaccine because of how their birthday falls for entering school and the vaccine is wearing off before they enter the sixth grade when the vaccine is required by the state,' said Logsdon." Ukraine's diphtheria inoculation campaign last year has failed to provide nation-wide protection. Last week, the Ukrainian Ministry of Health revealed that, in the first 5 months of this year, some 1350 cases of the disease had been reported, of whom 15 died. 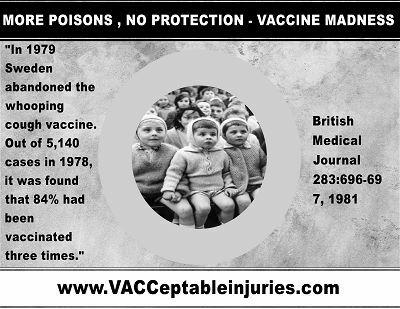 Although the total is 510 less than for the same 5 months in 1995, the Ministry is clearly concerned about why the inoculations failed to work, and has launched a special investigation. One explanation that has been put forward is that vaccines received from western programmes of humanitarian aid are "not very effective". The break-up of the Soviet Union left Ukraine without a drug industry of its own, thus its health service is largely dependent on donations. Such an allegation, even if eventually proved unfounded, could provide a weapon to politicians who oppose closer ties between Ukraine and western Europe.